May, 2006 Are You as Smart as They Think? History behind IQ tests and how to interpret it. November, 2005 Do You have Organizational Cancer at Your Work? Sun, T., “Survival Tactics: 11 Top behaviors of successful entrepreneurs”, Greenwood-Praeger, July 30, 2007. Sun., T., “Current trends of organizational cancer”. Institute for Transformative Thought and Learning, 2004. Sun, T., Bovinet, T., & Atzberger, T. Ethics for the Soul of Wall Street. Dryden Press, forthcoming, 2004. Sun, T., “Factors of Entrepreneurial Success” International Journal on Business and Economics, 2004. Sun, T., “Minimizing stress by addressing conflicts”, Business First, 2004. 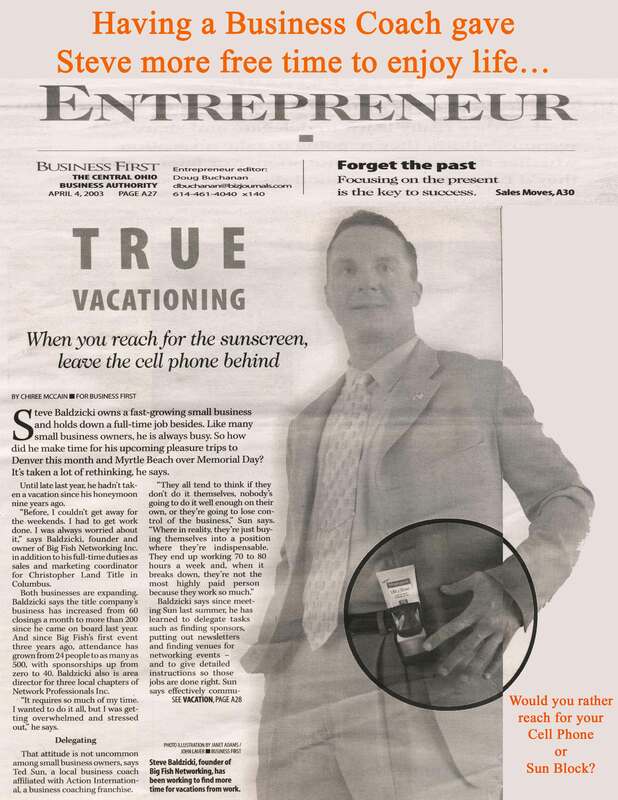 Sun, T., “Secretes of biz success”, Business First, 2003. Sun, T., “Success in Chaos”, Big Fish Networking, 2003. Sun, T., “The value of human beings” Big Fish Networking, 2003. Sun, T., “Reconstruct your organization’s culture” CPA Advocate, 2002. Sun, T., “Growing your business”, Big Fish Networking, 2003. Ortiz, P., “Freedom of speech or anti-immigrant? GM dealer in Arizona under fire”. Diversity Inc., 2004. Reyes, M., “What to watch for in the Presidential Debate of 2004 ”, ABC, 2004. Hohbach, J., “Learning to Leading”, Columbus CEO, 2004. Wellner, A. S., “Managing Everyone’s a Critic”, Inc Magazine, 2004. 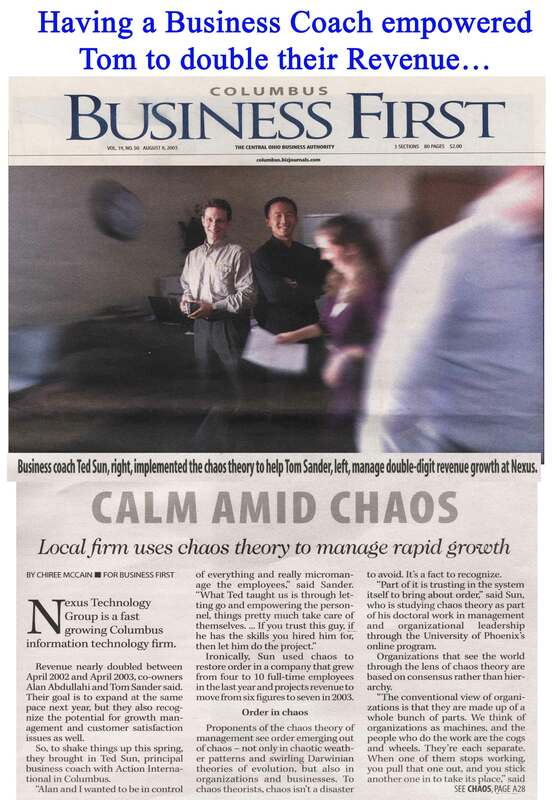 Bent Findly, C., “Holistic Approach Goes Beyond the Office”, Business First, 2003. McPeek, M. ,“Blackout of 2003”, NBC, 2003. McCain, C., “True Vacationing”, Business First, 2003. McCain, C., “Calm Amid Chaos”, Business First, 2003. ...helping you achieve greatness through balance.